MESA, AZ JANUARY 26, 2017: BFGoodrich Tires™ is excited to offer 2018 King of the Hammers attendees and racers many opportunities, starting Monday February 5th through Friday February 9th at two different Hammertown locations. For participating racers, BFGoodrich Tires will provide on-site tire and race pit support, have select tires for sale and are offering class contingency money. Contingency offerings are: $10,000 for the King of the Hammers overall winner1; $2,500 for the Every Man Challenge overall winner1; and $2,500 for the UTV overall winner1. BFGoodrich Tires race support trailer at Main Pit will provide tire mounting services and tire sales Monday-Friday 8am-6pm. During the UTV, EMC and King of the Hammers races BFGoodrich Tires will have pit locations at Main Pit and Remote Pit 2 for racers to utilize2. Tires will also be for sale at the BFGoodrich Tires trailer throughout the week3. For spectating enthusiasts and racers, the BFGoodrich Tires Garage will be located just outside Hammertown, on the main road before the gated community. Monday through Friday, from 8am to 8pm, two professional mechanics will be available to help with anyone’s needs including welding and fabrication. This full service garage is also open for you to work on your own rig, and utilize the tools free of charge. BFGoodrich Tires is also offering a Tow Service and Amsoil Oil Recycling Center as well. To receive assistance, BFGoodrich Tires will be monitoring BFG Relay 151.715 and CB Channel 12. The best part of breaking down at this year’s King of the Hammers will be fixing it at the BFGoodrich Tires Garage and by doing so you will be entered to win a set of BFGoodrich Tires4! Consider our garage your garage! BFGoodrich Tires Garage will be hosting a series of clinics and events: BFGoodrich Tires Tech talks will be Tuesday from 2-3pm and Wednesday from 3-4pm; Ladies Offroad Network will be hosting Trail Trainings on Sunday, Monday, Wednesday and Thursday from 1-3:00pm; Amsoil Tech Talk will be on Wednesday and Thursday from 11-12 noon; and the MetalCloak CTI Trailer (Corner Travel Index Suspension Testing Services) will be parked at the BFGoodrich Garage from Sunday to Friday. All events and clinics are free and open to all spectating enthusiasts and racers. BFGoodrich Tires will also be hosting a series of evening events, including Tuesday night Auction Benefit for Kevin Carey, where you can bid for a set of BFGoodrich Tires4! 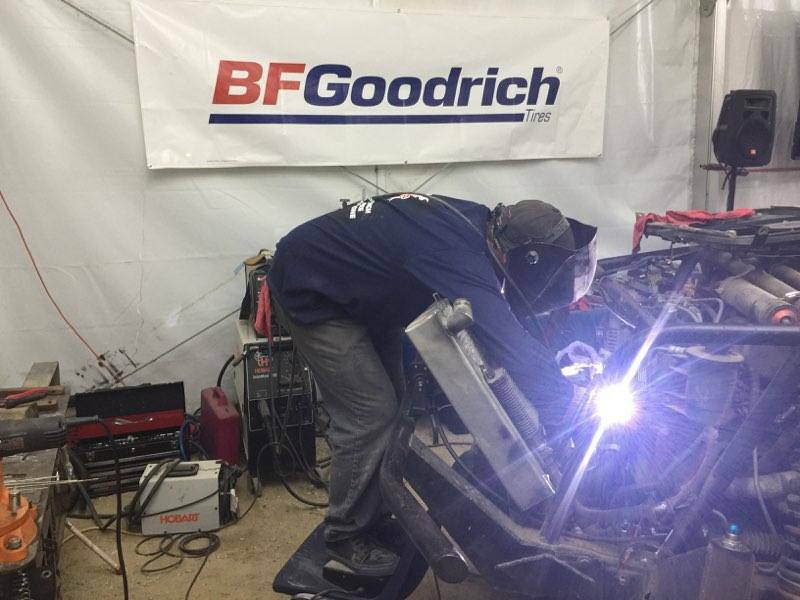 Wednesday night BFGoodrich Tires will host a Kick-Off Party for BFG racers and friends. 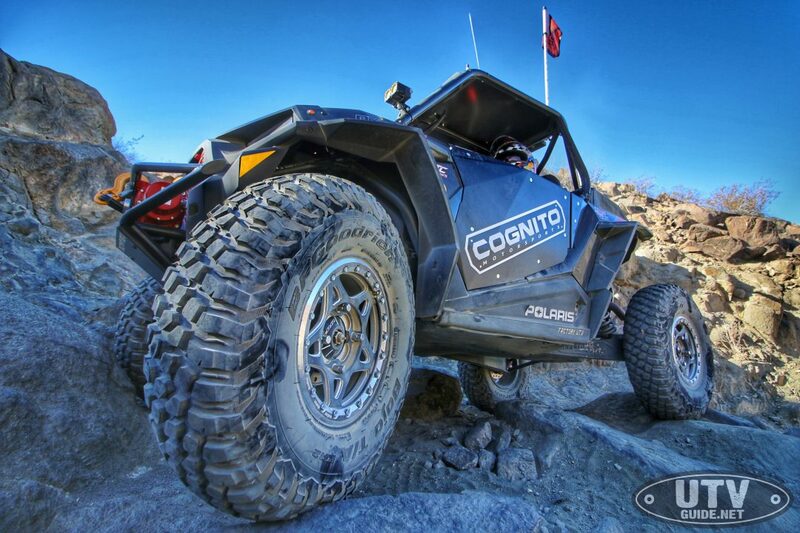 Must follow specific instructions as outlined by BFGoodrich Tires when signing up for contingency to apply. Racers must pre-register for pit support at the BFG Main Pit on Griffin Expressway at latest the day before your race. You can drop off tires, fuel, and spare parts for the pit and make a clear plan with the pit boss for your pit needs. There will be drivers meetings at noon the day before the UTV, EMC, and KOH races at the BFGoodrich Tires Main Pit to help coordinate your needs. 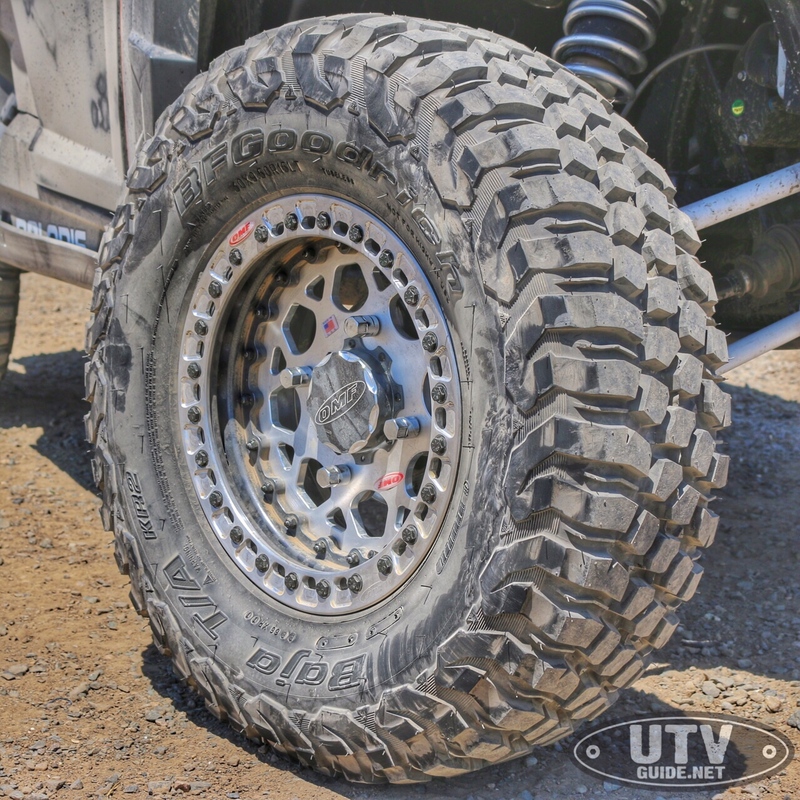 At the BFGoodrich support trailer on Griffin Expressway we will have the following tires in stock and for sale: 40”- KR3-S, 42” – KR2-S, 37” – Blue Label Krawler, 39” – Red Label Krawler, 30” – UTV, and 32” – UTV tires.